A prosthodontist is a specialist in the field of aesthetic restoration and replacement of teeth, with the intention of improving your smile and bite, enhancing your quality of life where it comes to your teeth and jaw. A prosthodontist is also commonly known as a dental implant dentist. There are many reasons why you want to see a prosthodontist, but before we take a look at these, let’s clear the air about the differences between the dentist that you see for a checkup, a cosmetic dentist, and a prosthodontist. A prosthodontist is a specialist dentist who is often considered the ‘architect’ of dental solutions. They can oversee a team of general dentists and other specialists, who they bring on board if needed. They can evaluate a solution to any of your cosmetic dental needs, from a single missing tooth to dental implants for the entire mouth. Simply put, their role is to restore the functionality and beauty of your smile; and they are recognized experts in this art form. A prosthodontist offers an extensive array of restoration and reconstruction dental services, including crowns, bridges, porcelain veneers, dentures, hybrids, and dental implants. A prosthodontist is exceptionally well trained, and undergoes four years of dental school, along with three years of additional training in a program that is accredited by the American Dental Association (ADA). This training includes academic learning, laboratory restorations, and experience treating patients. A cosmetic dentist also specializes in restoration and replacement, and focuses on restoring your smile; only they have had the minimal training to this, and are not recognized by the ADA. A prosthodontist, on the other hand, is known as a specialist in cosmetic dentistry, but has undergone extensive training to be qualified enough to make sure your smile is perfect! If you value your teeth and want professional cosmetic dentistry, a prosthodontist is a wise decision. Now that you understand more about what a prosthodontist is, and why they are preferable over a cosmetic dentist, let’s take a look at some of the specific reasons why you might go to see one, and in what cases they would be able to offer treatment. The loss of your teeth can be a cause of a lot of stress and embarrassment and can affect your ability to eat with pleasure and your esteem when you smile. A prosthodontist can assess your case, and apply the most efficient solution, from crowns and bridges to dentures, or dental implants. Whether you have lost just one tooth in an accident, or are edentulous, a prosthodontist can help to restore your teeth to their natural looking glory. Worn or damaged teeth can also receive treatment. In any cases where you need advanced care to restore the function and beauty of your smile, a prosthodontist should be your call to action and can oversee treatment that involves other specialists too. Treatments including rehabilitation after a traumatic injury, restructuring a facial defect, oral cancer reconstruction, TMD, TMJ, or other problems affecting the jaw. Prosthodontists can improve the appearance of damaged and discolored, broken, and misshaped teeth, help to improve your smile and enhance your self-esteem. Highly trained in the aesthetic aspect of dentistry, dental implant dentists can make suggestions and implement solutions that will help you to smile with more confidence. They can place caps and crowns on your teeth, veneers, close gaps, and apply whitening treatments. Why See A Prosthodontist Now? · Exceptionally high levels of training, including four year’s dentistry and three year’s additional training. · Fully recognized and accredited specialists of the ADA. · Experts in all aspects of cosmetic and reconstructions; can help to restore your smile to how it is, for maximum life satisfaction and supreme confidence. · Can bring in other dental and health specialists, and oversee a project, finding and implementing the right solution for you. · Can take care of serious dental issues and accidents. 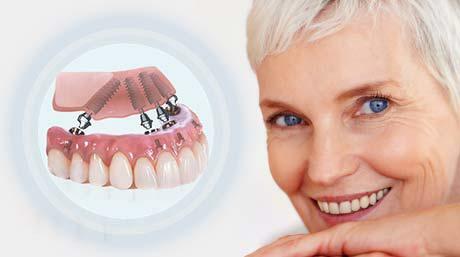 · Can implement the latest and greatest solutions for dental implants. 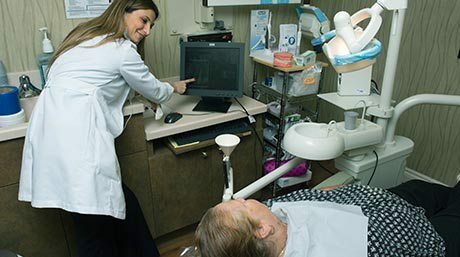 If you need the services of a prosthodontist, contact Friedman Dental Group today. Dr. Eli Friedman is a fully qualified prosthodontist with over 14 years experience working with patients to give them a smile that they deserve. Contact us today to arrange a free consultation.